Ride-hailing giant Uber has lost an appeal in France brought by a former driver who wanted his terms of employment recognised as a fully-fledged work contract. Fabien Masson, a lawyer for the plaintiff, hailed Thursday's ruling by the Paris Court of Appeal as a "landmark decision". It follows a similar court decision last month in Britain that Uber should grant workers' rights, including the national minimum wage and holiday time, to its drivers. Uber said Friday it would challenge the ruling in France's highest appeal court, La Cour de Cassation. "Drivers choose to use the Uber application for the freedom to connect to it when they want," a spokeswoman said. "Drivers can decide to connect in real time and without any requirement of exclusivity," she said, adding that the company was appealing the ruling so as to "preserve... this flexibility." Uber says it is precisely this flexibility, giving its drivers freedom over when they work, which means they are self-employed and that there is no employer-employee relationship with them. Uber has long maintained it is simply a service provider, connecting people needing a ride with drivers -- either amateurs or professionals, depending on the country -- in about 630 cities worldwide. On that basis, Uber, which operates in over 60 countries and which intends to offer shares to the public later this year, has always maintained that its drivers are self-employed. The Paris court ruling specifies that the contract between Uber and its former driver was "an employment contract" because the driver was dependent for his work on the ride-hailing app. 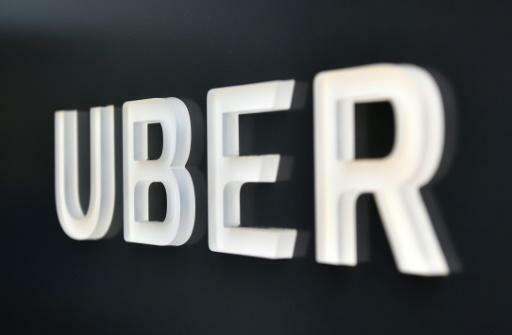 The former driver first sued Uber in June 2017, two months after the firm had desactivated his account "depriving him of the possibility to get new reservations", according to the court. The court also noted that the driver had signed a "registration partnership" with Uber which did not allow him to choose his own clients or set his own rates. Uber in effect exercised "control" over the driver by actively discouraging him from turning would-be clients away. The driver, who stopped working for Uber in 2016 after providing some 4,000 trips in under two years, had sued to have his "commercial accord" reclassified as an employment contract. He was seeking reimbursement for holidays and expenses as well as indemnities for "undeclared work" and contract termination. In an initial ruling last year, a French court found in favour of Uber, saying its drivers were free to refuse a trip and were not subject to any oversight by Uber in terms of time worked. The European Court of Justice meanwhile has also found the US group to be a transportation service, subject to the same regulations governing traditional taxis and other ride providers.